Do any of you have that one nail polish that you used to have and keep thinking about? When I was young, I used to buy nail polish from Bath and Body Works. Yeah, it was that long ago! Does anyone remember when Bath and Body Works had a nail polish line?? I bought a ton of them when I was about 8 or 9 years old because every nail polish came with a charm. I wanted the charms to make a charm necklace rather than the polish because I was a nail biter and a tom boy. So when I stopped biting my nails after college I went back to my old stash of Bath and Body Works polishes hidden in my bathroom closet. Surprisingly, most of them were still good! I guess its all those awesome chemicals that used to be in nail polish and I’ll be getting cancer in 5 years. Anyways, my favorite color from my Bath and Body Works stash was called Lucky Penny and I wore it to death. Every since, I’ve been looking for a polish to replace it. I think I may have found it! 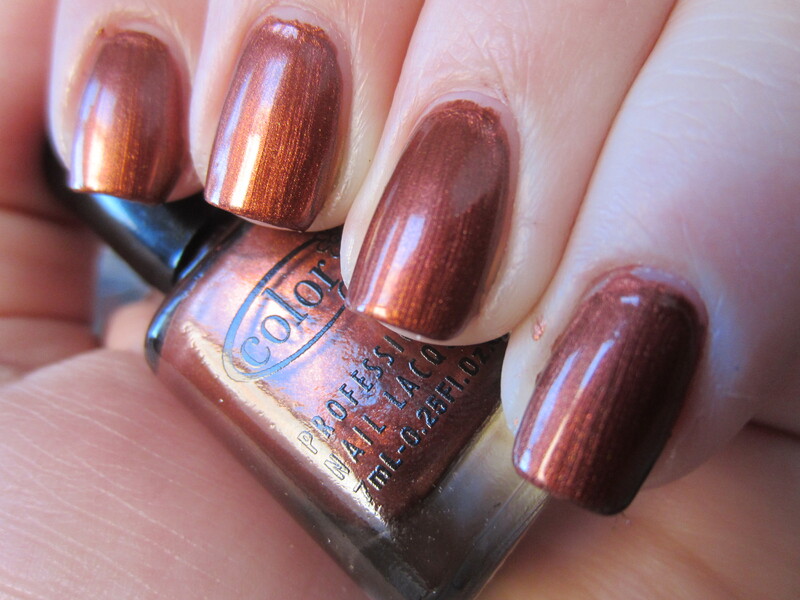 Color Club “Model Behavior” is a darker copper penny shimmer. 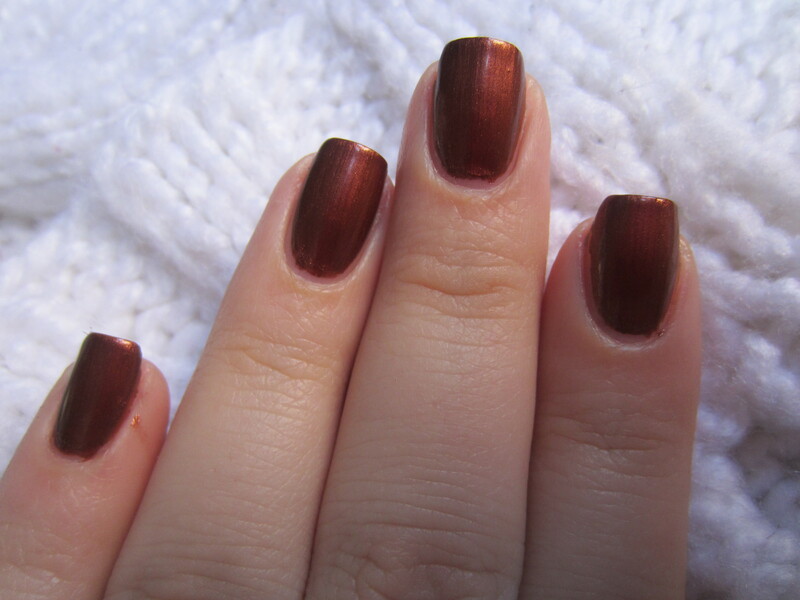 Its a very rich mahogany copper color and is almost exactly how I remember by Bath and Body Works polish looking. I know brown polishes aren’t everyone’s cup of tea but I really like brown polish. The formula on this polish has its pro’s and con’s. Pro: this baby is almost opaque in 1 coat. This is 2 in the pictures, but I think I could get away with 1 thick coat. Also, the dry time was pretty good. Con: this thing was kind of streaky. When I first applied it, I just started applying as normal. When I realized it wasn’t going to go on evenly and it would show every brush stroke, I got a little more careful. After it dried, the brush strokes weren’t as apparent but it was still a little labor of love. But if you get it opaque in 1 coat, its a quick labor of love! What do you guys think? Do any of you have a really old polish that you remember fondly? What are your favorite browns? lol whats chocolate pasta? is that something you get in holland?